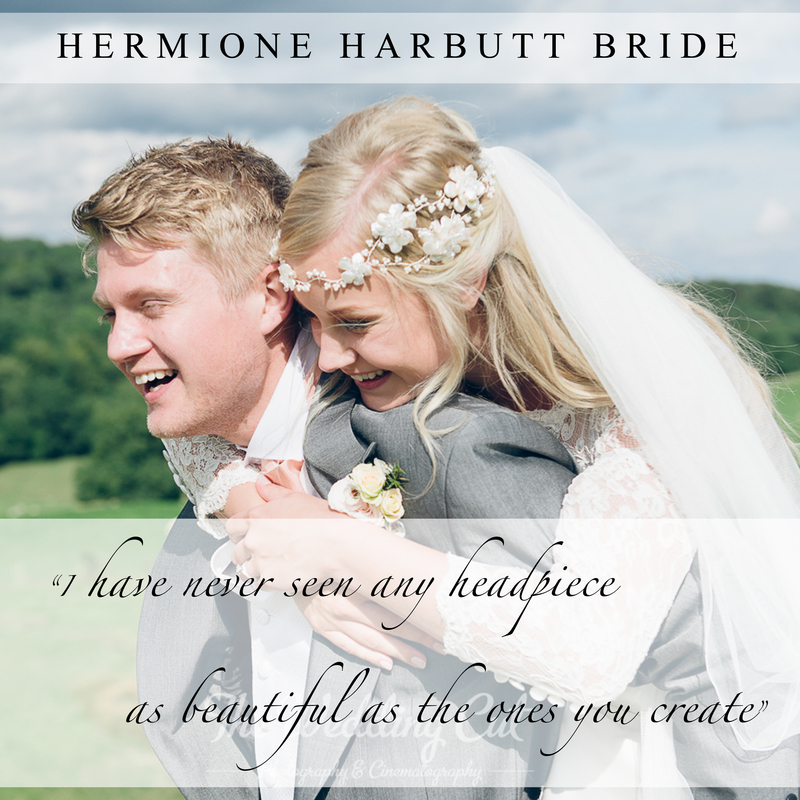 Lovely words from Hermione Harbutt Bride Pippa who looked stunning in her Florrie headdress. 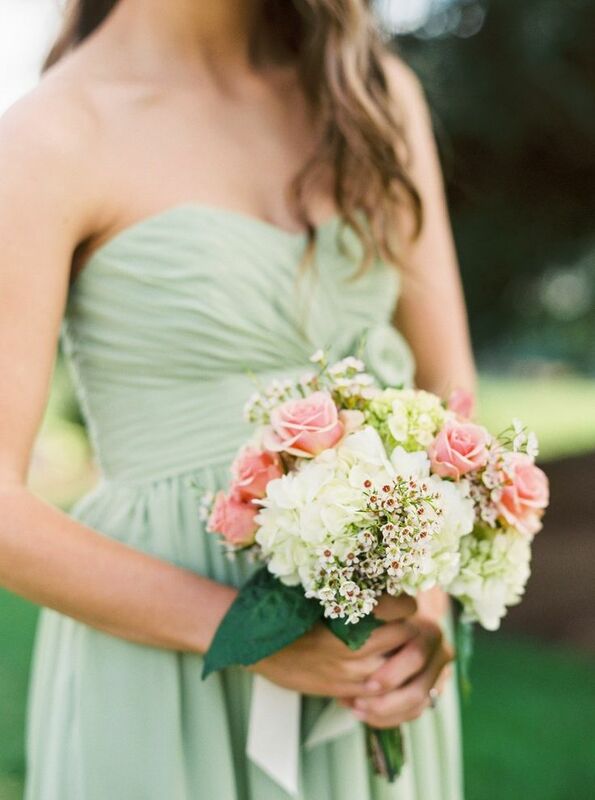 Blush rose quartz stars, suspended amongst silver wire creeping onto the forehead. 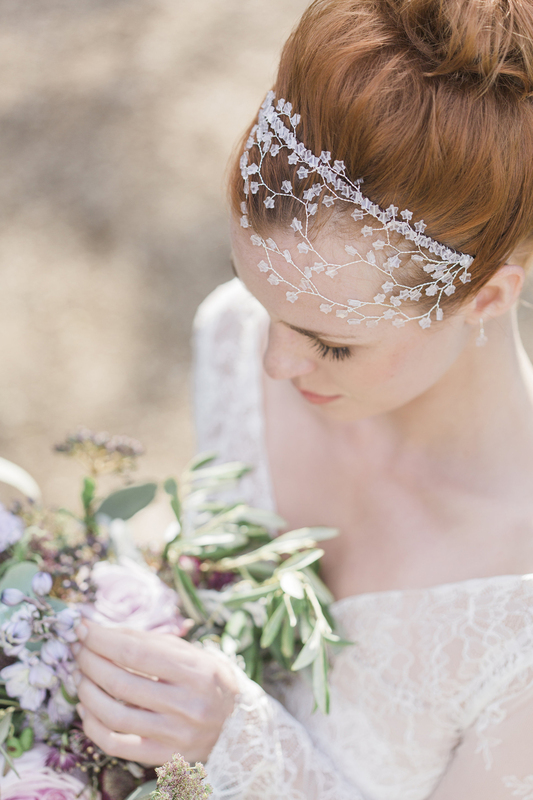 A soft bridal option, inspired by the Hermione Harbutt special occasions Galaxy Headdress.